This French girl’s life is ugly. She knows nothing about her dead parents. Only one thing keeps her going: her unconditional love for music. Until one person changes her life. Thanks to a chance meeting with an American music producer, Maude flies off to New York to live with his family for six months while she composes her first album. She can only sing classical and she needs to make this pop album rock... big time. That’s why she’s stuck working with Matt. He’s cute, he’s famous, and he makes her mad every chance he gets. Fortunately, her new friends have her back, though they each have worries of their own. Popular Jazmine never falls in love—until she’s head over heels with an unexpected boy. Good girl Cynthia’s got a secret passion that could break her parents’ heart. And Ben’s family tradition means he’s got an important choice to make before his birthday. As Maude’s fun new life intersects with theirs she wonders how she could ever go back to her old one. But when she uncovers the truth about her past, will she find the strength to overcome it or will it destroy her forever? I’m proud to say that A French Girl in New York has over 2000 five-star ratings on Goodreads. And now you can read the first book in the series for FREE for a limited time! I guarantee that once you dive into this French girl’s adventures, you’ll want to go all the way. Because A French Girl in New York isn’t just a book, it’s an entire musical experience with an amazing SOUNDTRACK! Born in France, raised partly in the United States and in France, Anna Adams grew up loving stories in French and English. Anna currently lives in Paris where she studies at Sorbonne University as a Law Student. 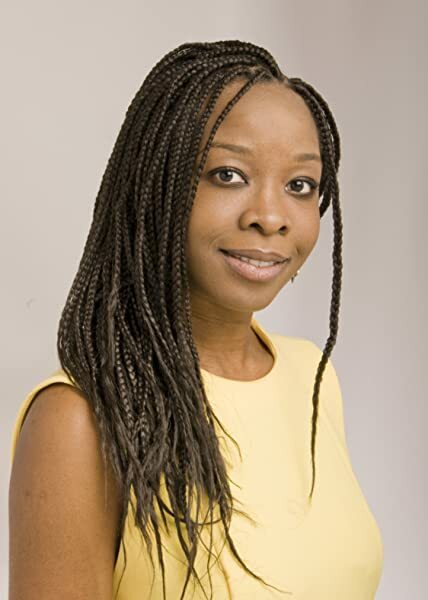 She's the author of the French Girl series and the short story Once Upon a Tag. When she isn't writing, Anna likes to travel in Europe and dreams of going to Asia and Africa. There were some definite pros and cons to this story. Here are my thoughts, for what it's worth. 1. It was a good story, with a good plot, not too predictable. Had a nice twist at the end. 2. It was pretty well edited - I think I only caught one or two homophones incorrectly used. 3. There was a decent knowledge of music, which, as a musician, I appreciated and helped keep me interested. 4. I usually don't care for lyrics thrown into the middle of a story, but it worked in this one for me. They were actually a nice addition and used well to help give the characters more of a voice (no pun intended). 1. The POV changes a TON, often from one paragraph to the next, and not just with the main characters. Just keeping with one POV for a chapter would do wonders in increasing some mystery and suspense for the reader. The good editing really saved this story, kept it readable. 2. The author needs to learn to show more and not tell. Most of the time she says what a character is feeling, rather than describing it by their actions, and it takes the reader out of the story. 3. Adverb city! It's a dangerous place for an author to be. 4. There were a couple dialogues that were a bit confusing - the voices weren't distinct enough that they could go without the "he said" added to it. Even though I had read the synopsis, based on the cover of the book, I expected to read some gushy girly story about an only-child prodigy, with adoring parents, who makes it big in the music industry and oh! a handsome man is here too? Should I fall in love? Don’t mind if I do! But don’t let the cover fool you as it did me because that isn’t what this story is at all and I adored this book because of it. After the first couple of chapters, it seemed like it was going to be an enjoyable modern remake of Cinderella, but it was so much better than that. The story about Maude’s life going from ordinary to extraordinary had a tastefully done, but subtle love triangle, anger, jealousy, sacrifices, lies, deceit, and betrayal, strong sibling bonds, acceptance, fear, protectiveness, family bonds, deep pain and struggles, truth coming to light after a time of darkness, and so much more, all gracefully spun into one book. I appreciated and enjoyed how Anna Adams mixed opera and pop songs together with respectful elegance and managed to capture each character’s inner thoughts and emotions, switching smoothly between each character from an omniscient point-of-view. I was utterly shocked and rather disappointed when I found out that this is a series. I felt that this book was good just on its own, without adding any other scenarios or issues to bother poor Maude. But, that doesn’t take away the uniqueness and beauty away from “A French Girl in New York”, because it was a beautiful book that I had the pleasure of reading. The orphan whose dreams come true! This was almost a Cinderella story in that regard, but with more grit, spirit, and determination. I liked Maude. She was humble and self-sacrificing, but also fierce and strong. This was a sweet contemporary, almost exactly what I was craving. As a performer, I found the reality/luck aspect a little thick, but that didn't take away my enjoyment of the book. Of course there was a cute love triangle, to be expected, but it played out well. The familial & career conflicts made a great backbone to the plot. Wow. 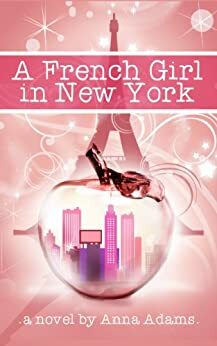 A French Girl in New York is a Cinderella story, about an orphan living in Northern France with a foster family that treats her very poorly. Forced to work from dawn to dusk, caring for the family children, cleaning, waiting on the mistress of the house, and expected to attend school and do well in her classes at the same time. Maude Laurent teaches herself piano on Saturday afternoons while her mistress is with friends. For five years, the piano sessions are what keep her going. At the age of 16, she manipulates a grade to be allowed to go on a day trip to Paris and her life begins to change. A French Girl in New York is a story of new beginnings, of misunderstandings, of family, love, betrayal, and triumph. The sole shortcoming in this book is that the lyrics to the songs aren't very good. I don't hold that against the book because if you actually listen to most lyrics, they really aren't that good. That doesn't stop a song from touching a chord with people or from becoming a huge hit, and these lyrics in no way stop this story from being both believable and touching. The story is well written. The insights on the music industry are plausible, which matters because music is at the heart of this story. The author captures the confusion of being a teenager without ever descending into parody or becoming melodramatic. Adults and teens both will love this story. Teens can recognize the turmoil of being a teen, and adults can recall that turmoil without being embarrassed by the characters. That is a difficult balance to strike. Author Anna Adams deserves praise for this beautiful, touching tale.